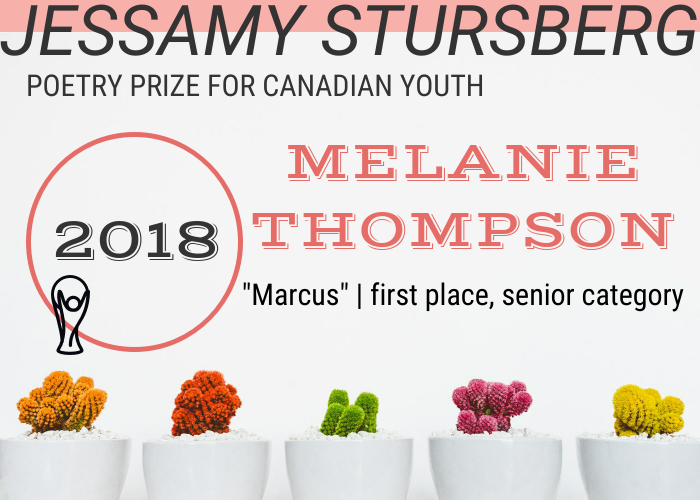 LEAGUE OF CANADIAN POETS: What inspired you to write your poem “Marcus”? How long have you been writing poetry? MELANIE THOMPSON: The inspiration for Marcus came to me as I was writing an original play entitled Misfit Memoirs. The play follows three characters and their personal struggles, and Marcus’ point of view is by far one of the most unique perspectives I’ve ever taken on as a writer. Although I am not a member of the transgender community myself, I understand that their voices are quite often silenced and I wanted to use my creative platform as means of sharing their stories. Marcus is a teenage boy whose struggles are experienced by many others, and this poem acts as a window into his mind to showcase his unique perspective and journey to self-acceptance. I have been writing poetry and many other works of fiction for almost my entire life– I have distinct memories of writing stories while still in kindergarten, and my passion for the craft has grown and developed alongside me. LCP: Who are some of your favourite writers? MT: Shane Koyczan, E.E. Cummings, and Amanda Lovelace are by far some of my favourite writers of all time. 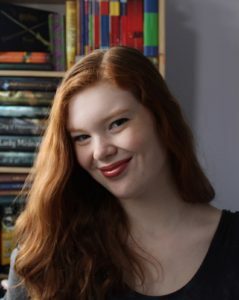 Their works are incredibly personal and have greatly shaped my own writing style– I absolutely love it when an author’s work makes it seem as if you know them personally. LCP: What are some of your favourite books? MT: Outside of standard answers like Harry Potter and Lord of the Rings (which I assume are everyone’s favourite books), Where Things Come Back by John Corey Whaley, The Princess Saves Herself In This One by Amanda Lovelace, and We Are The Ants by Shaun David Hutchinson are some of my favourites of all time. Close seconds to the all-time-favourites title also include The Shining by Stephen King and The Cardturner by Louis Sachar. LCP: How do you see writing and poetry being a part of your life over the next several years? MT: Currently, I am a member of my school’s slam poetry team and I regularly participate in competitions for the art of spoken word. This is by far my favourite means of sharing my work with others, and I intend to stay involved with the slam poetry community for as long as I possibly can. I plan to pursue professional writing (specifically pertaining to theatre) after high school and I have no intention of removing poetry from my life in the near or distant future. LCP: If you could give other students one piece of advice about writing, what would it be? MT: Write, write, write! Too many people (myself included) get caught up on the minute details of their work before they’ve started writing, and they shoot down their creative potential before they’ve even put pen to paper. Remember that the only way to improve your writing is by writing! LCP: What is your favourite thing about poetry? MT: My favourite thing about poetry is how no two poems are exactly alike; every topic is subject to the writer’s individual perspectives and interpretations of the world. Poetry is a way to see straight into a writer’s head, and it exhibits an intimate relationship between author and reader that isn’t present in any other form of writing.